If there’s something you really want to do, just do it. You don’t have to be perfect at it to get the most out of it, and no matter what your passion is, you can pursue it for the sake of enjoyment instead of trying so hard to be good at it that you become miserable. Even if it’s risky, we have to pursue our passions. We can’t be content to do things that don’t inspire us or light our inner fire, but it can be hard to be enthusiastic about something we don’t think we’re very good at, even if it inspires us more than anything else. It requires a great deal of courage and patience, but if our passion is sincere and we can persevere, we’ll eventually increase our talent. It just takes the willingness to push past the fear and uncertainty we feel when we try new things, and everything will fall into place if we stick with it. The next time you’re worried you can’t pursue your passion, try this simple little exercise to boost your confidence. Approach whatever you want to do, and start doing it. Do you feel the joy and inspiration that result? 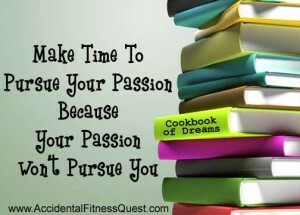 If not, then you must not have found your true passion quite yet. If you do feel it, capture it. Hold it close. Rejoice in its presence, because it holds the key to your success. The first step to finding success is to recognize that in a sense, we can already do the things we want to do, and we’re usually too concerned with doing them well to remember to enjoy them. Do you want to play an instrument? Pick one up and start playing – you’ll learn along the way. Do you want to sing? Start singing some of your favorite songs in private, and eventually try to move on to writing your own songs. Regardless of how good you are at first, the fact is that you can do it on a basic level. You can play an instrument. You can sing. You can write. You can paint. You can do anything you’re willing to try, and the things you stick with will become your talents. It really can be this simple, but we complicate it when we worry so much about being good. Regardless of our level of talent, we can do whatever we want to do and have fun doing it. I’m not saying we should be obnoxious or get in people’s faces with something if we still have work to do with it, but we can privately pursue it and forgive ourselves for any mistakes or imperfections. You probably don’t need me to tell you that mistakes are necessary. We have to make mistakes so we can find out where we’ve gone wrong and try something new, and in every mistake, there’s a lesson we’re meant to learn. Even if we’re incredibly serious about developing our talent, we can still do it for fun on the days we don’t feel very good at it. Perseverance is essential, and as contradictory as it might sound, the times when we’re the worst at something are usually the times when we should keep going. We should obviously put something down for a while if it really isn’t working, and taking a breather can help us approach it with more enthusiasm and clarity next time. In some cases, though, we know how easy it’d be to just stop, so that’s exactly what we do. We put it down for a while when our confidence starts to wane, and we might even avoid doing it again because of that awful fear of failure. If only we could transcend this unnecessary fear, we could boldly pursue our talent with the recognition that failure is a guidepost that can help us develop. With a simplistic mindset about it all, failure won’t bother us. We’ll have fun doing what we’re doing no matter how good we think we are at it, and even if nobody else enjoys it, we can still do it for our own sake if we’re so passionate that we can’t put it down. 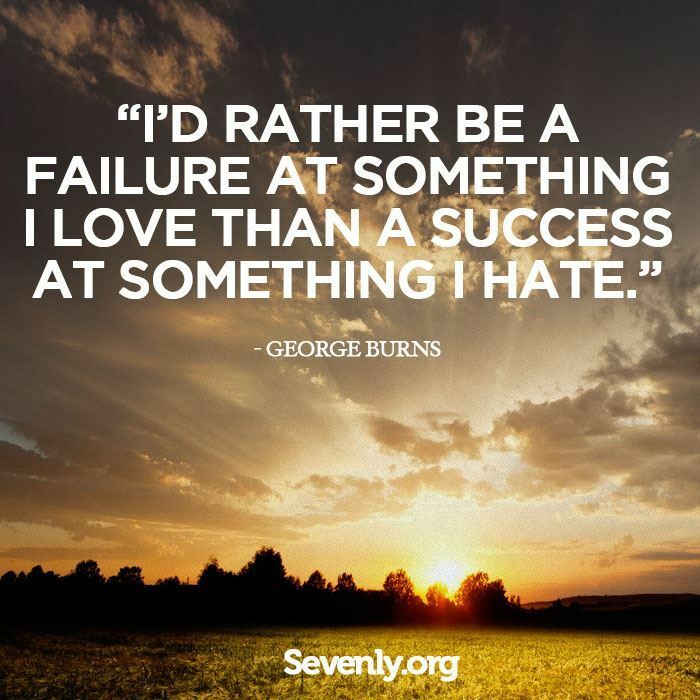 If we’re that passionate about something, we should have no problem working hard to develop it. There’ll be difficulty and uncertainly along the way, and if we let them, they’ll bring us down and keep us from honing our craft. This is when returning a simplistic mindset will help us push through, and no matter how much we struggle, we can always return to the simple joy we feel from doing what we love. When we integrate this inexplicable enjoyment into our practice in the future, we’ll probably have too much fun to be bothered by any lack of talent. We will get better if we keep at it and remember to challenge ourselves, and all of the work we do in the interim will prepare us for a higher skill level and a greater enthusiasm to practice. If you think you’re inspired now, just wait and see how you’ll feel after you persevere and find some success. The fun will really begin once we make a commitment and stick with it in the face of all odds, and if we stay active, our work could inspire the rest of the world to pursue their passions. We can use our talent to help others once we get it to a higher level, and until then, we can uplift ourselves with it in hopes that our continuous efforts will get us somewhere. 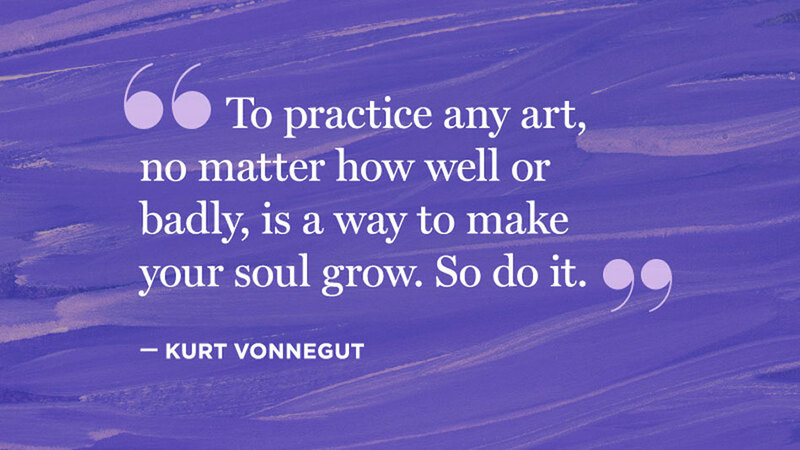 Even if they don’t, we’ll always have a basic knack for our passion, and thus, we can always pursue it and enjoy it. No matter what, we win as long as we keep at it. Next Heavenletters via Gloria Wendroff: Why Create Polarity When You Can Create Peace?